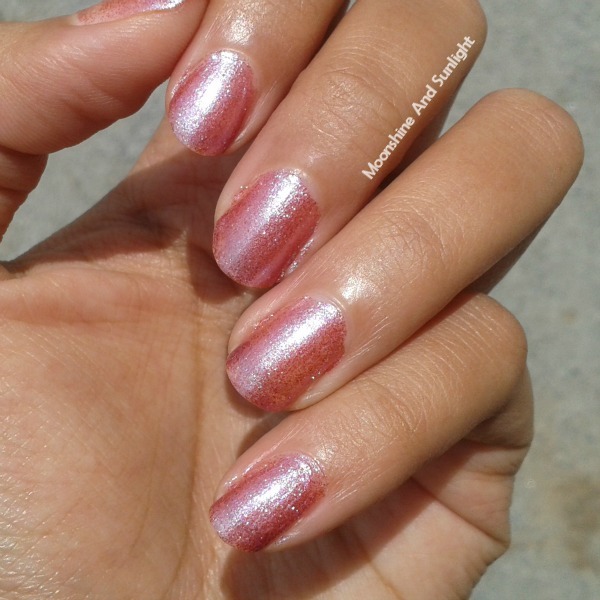 What can be better than India embracing the Indie polish trend! Finally, there is a company based out of India who makes awesome blossom nail polishes and has a huge range of colors and textures. “Stay Quirky “is the name of the company and I like the name and love what they make! They are currently available only on purple.com. 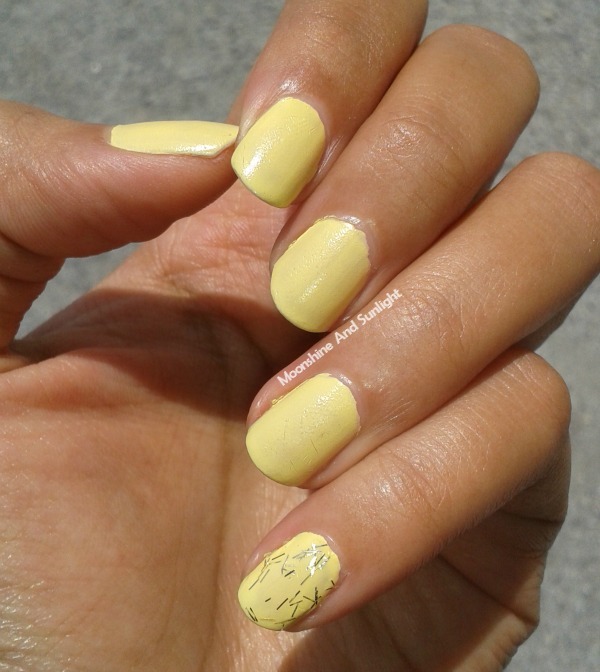 Shade no 737 – Electric Sensation is a pale yellow shade with a matte/satin finish. No shimmers or glitters. Two coats of this are enough for an opaque coverage. 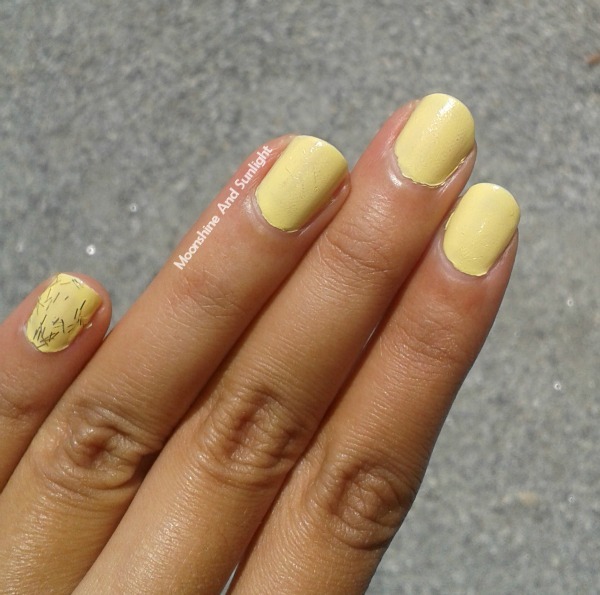 Shade no 918 – Hyperventilated is a bright yellow-gold (metallic) feather top coat in a clear base. Moderate density of the feathers/strips and gives a beautiful finish on any polish or even on its own. Shade no 771 – Finger Looking Good is a due chorme shade from their Gold chromic effect shades and is the most expensive out of the three (it's 350 INR other two are fro 250 INR). It is a pretty fuchsia pink shade which changes to electric blue from different angles. This is basically filled with shimmers and looks gorgeous in the sunlight, though I could really capture it here. The best thing about these polishes is that these polishes are 5 Free! All the polishes stay chip free for almost 5 days! Now that’s quite impressive. They have around 150 shades and glitter , satin , pearl finish, sand finish, gold chromic and some more types of shades which is quite impressive ! The brush is thin and I must have told you that I like thin brushes because it is easy to apply the polish that way. The only downside I believe is that these take forever to dry out! But since these are 5 free polishes I cannot complain much on that ground! Since they have so many shades and types of polishes, I would definitely ask you to give them a try!